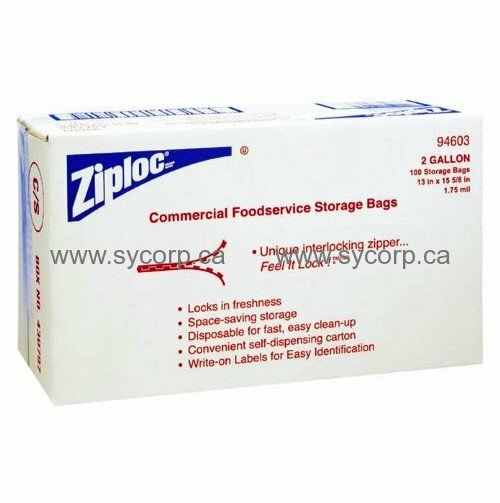 Sturdy, disposable, easy-to-open, easy-to-fill bags. Unique interlocking zipper seals securely; locks in freshness and protects foods from drying. Designed for space-saving food storage, portion control, food preparation and transportation. Write-on labels for easy identification and date-coding. Dispensing cartons are color-coded for kitchen organization. Convenient self-dispensing cartons; write-on labels for content identification and date coding.